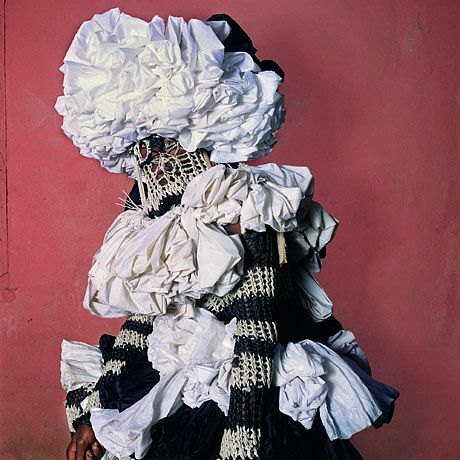 New York-based artist PHYLLIS GALEMBO has been documenting masquerade and carnival-based practices around the world, and she is most celebrated for images taken in West African countries and also Haiti, where she has traveled annually for the past decade to work in Jacmel. 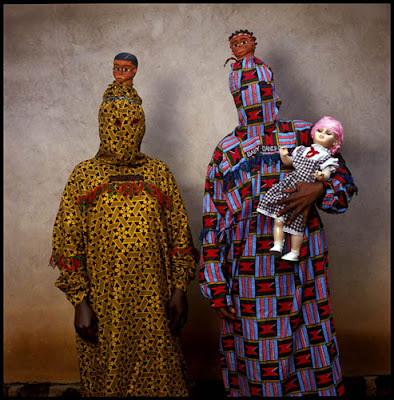 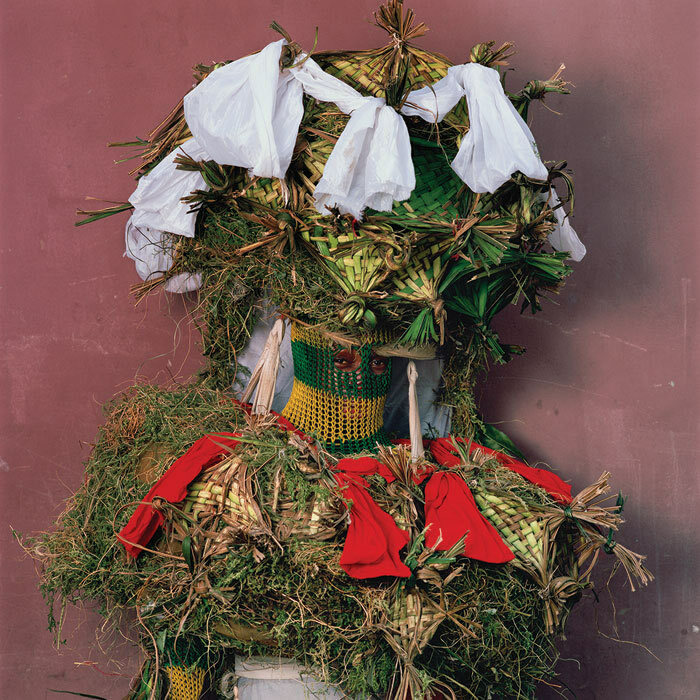 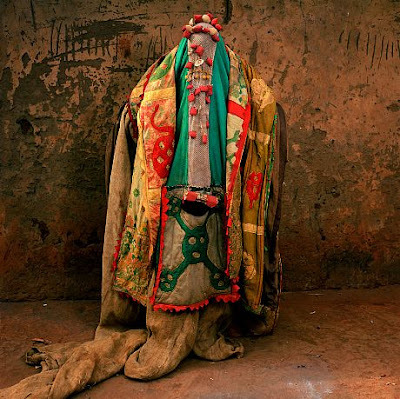 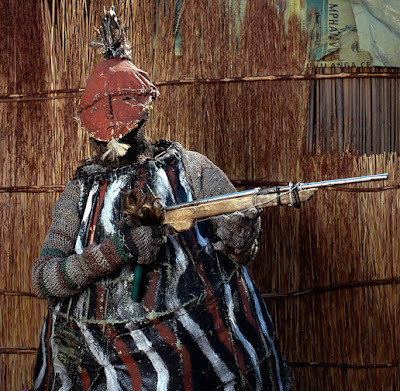 By returning to certain places over a period of several years, Galembo has developed an understanding with some of the more secretive societies in Sierra Leone, Mali, and Burkina Faso, and this has enabled her to document carnival costume and masking practices from a broad spectrum of groups covering an immense geographical area. 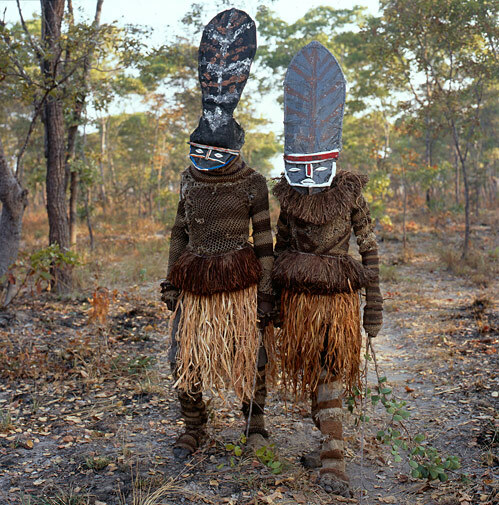 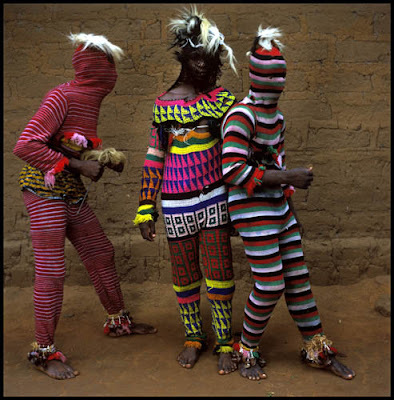 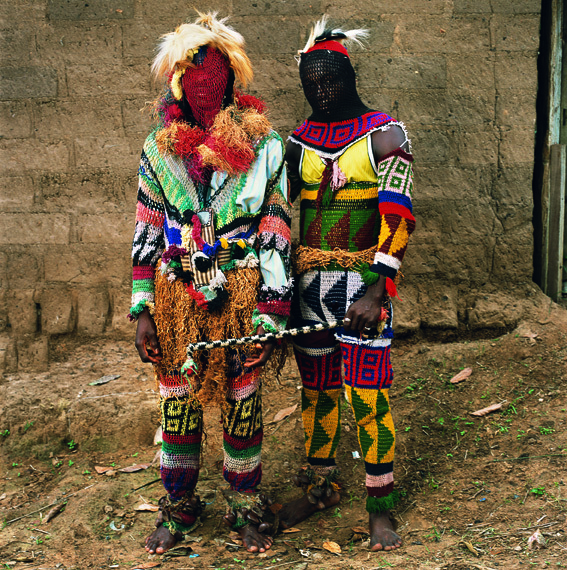 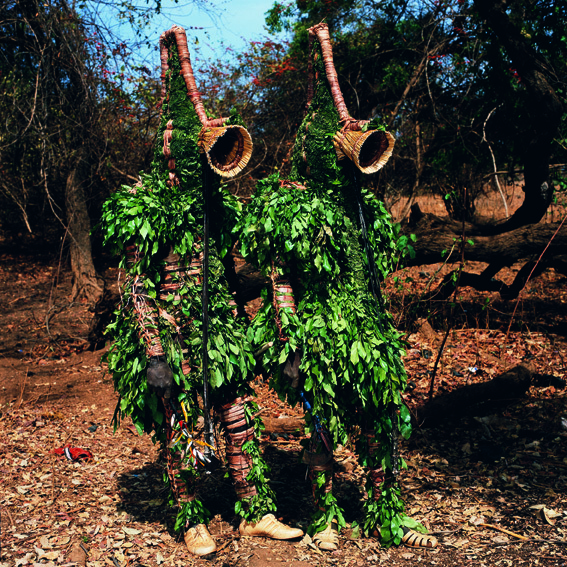 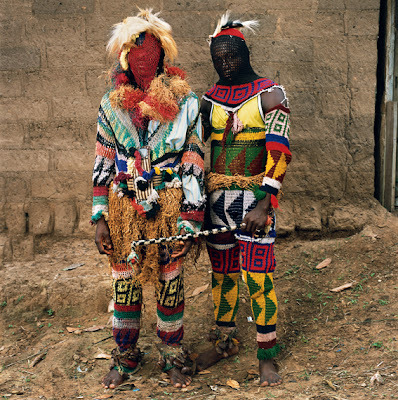 After years of photographing indigenous cultures, Phyllis Galembo has compiled her new book MASKE, which shows traditional masquerades from Africa. 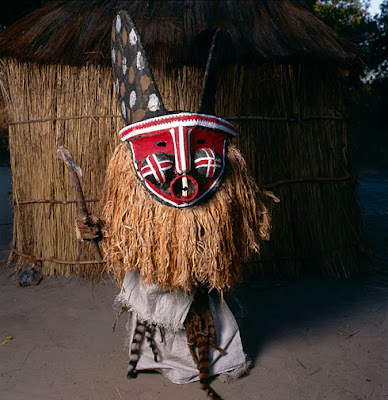 Galembo's photographs of African masks in their figural resplendence make one wonder with great regret what visual and artistic knowledge of masking in Africa is now forever lost. 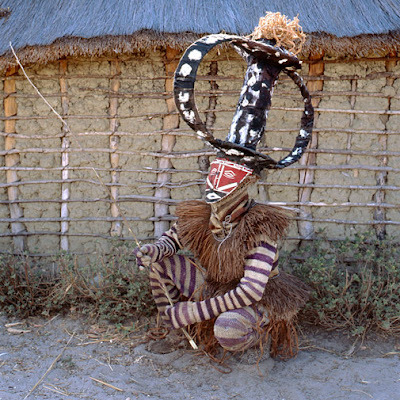 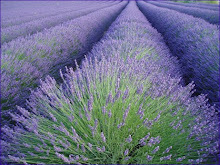 Masking is one of the most complex and secretive, yet profoundly important, phenomena in Africa. 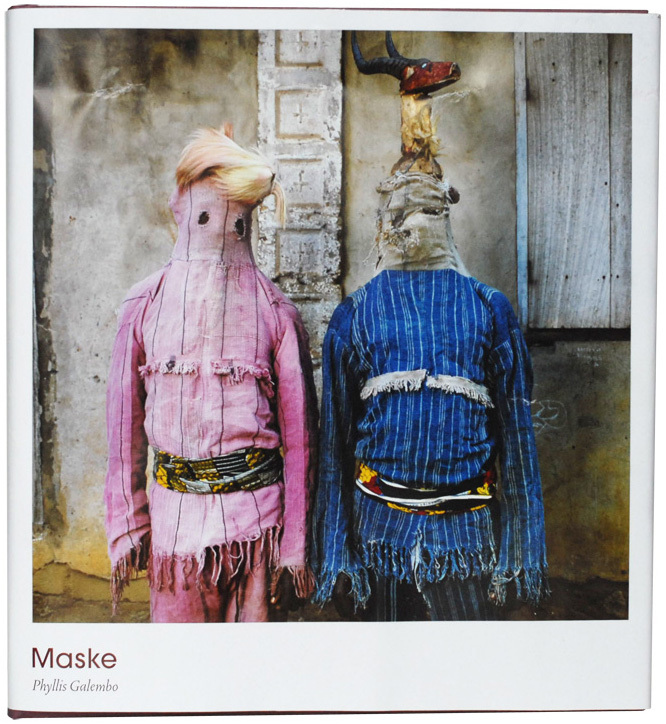 Here are some excerpts from MASKE. 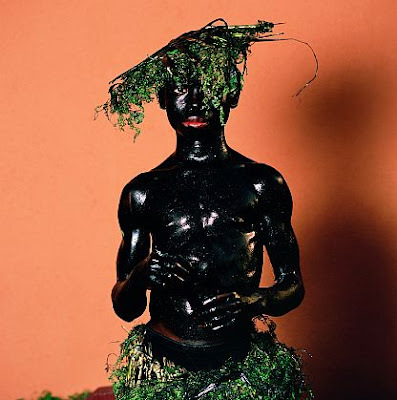 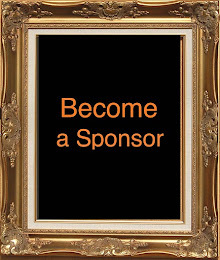 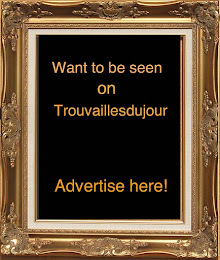 Corinne May Botz " Haunted Houses "
Guy Bourdin " In Between "
Liu Bolin " Hiding in Italy 2010 "
Wearable Art: Hermes " Carre d'artiste "
Fashion Chic, European Fashion in L.A.